In memory of those who lost their lives. 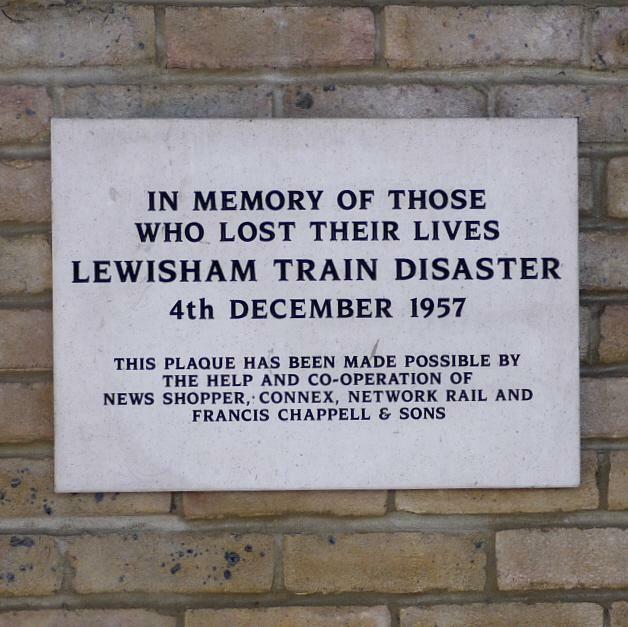 Lewisham train disaster, 4th December 1957. 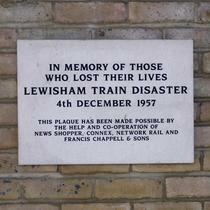 This plaque has been made possible by the help and co-operation of News Shopper, Connex, Network Rail and Francis Chappell & Sons. A local newspaper in South London and Kent, once owned by Rupert Murdoch.